HSU’s Ali Osgood wears her stars and stripes national championship jersey and medals on the cover of this month’s Osprey magazine. 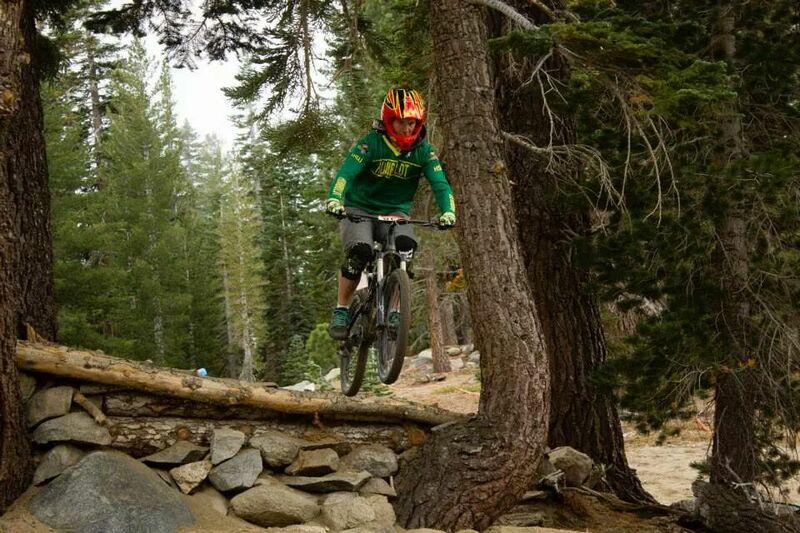 This issue features a story about her recent Collegiate Mountain Bike National Championship and her life of cycling and turning pro. Way to go cover girl! Cover photo and story by Alexander Woodard. More photos and full story at Osprey. It’s fall semester! 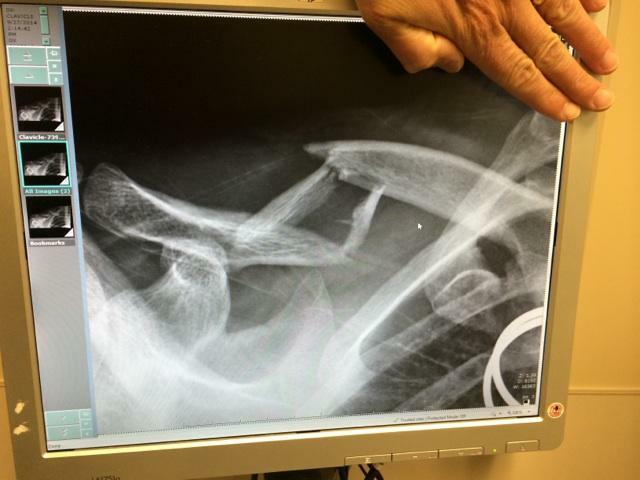 And that means mountain biking! 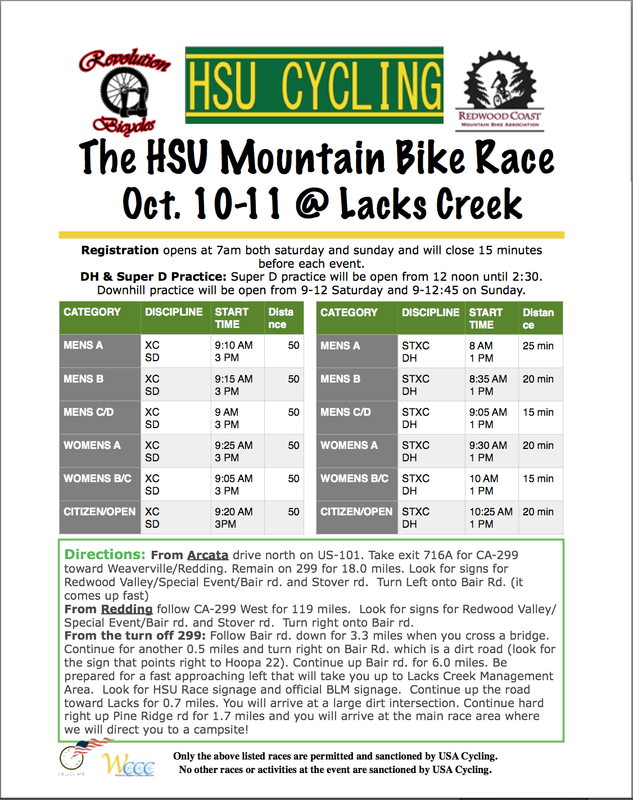 HSU Cycling has a great squad of huckers to join you in your riding adventures. 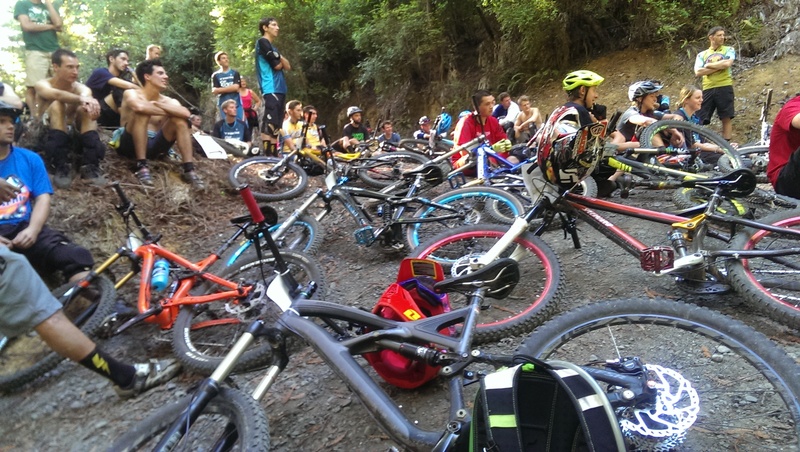 Come join the club and meet cyclists who are passionate about dirt. If you prefer road riding, that’s great too! We welcome all kinds of cyclists. Our club meetings resume on Thursdays at 5 p.m. this fall. If you’d like more information, contact our club president Marina Marcroft at marina.marcroft at humboldt.edu. 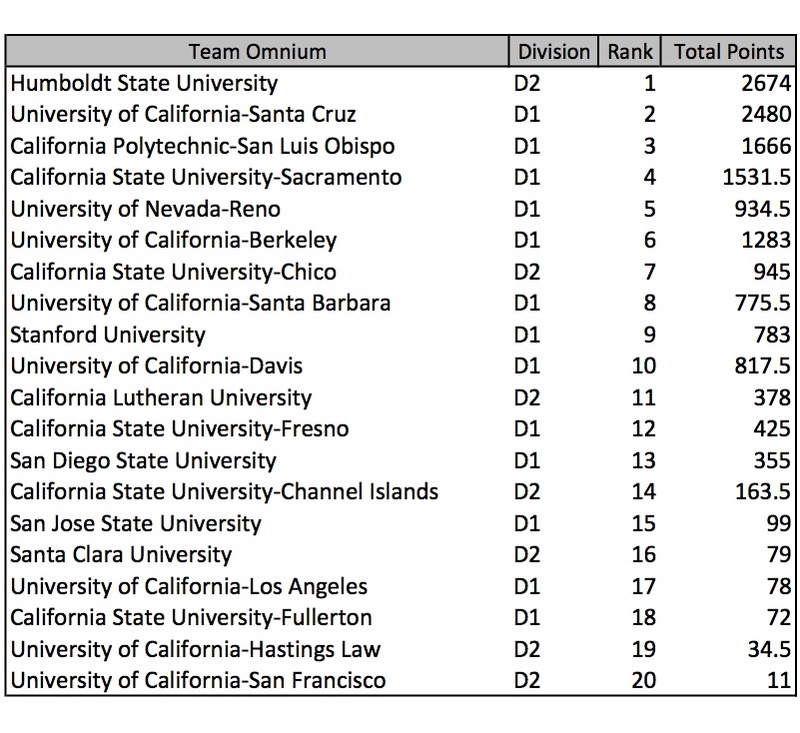 Last year, HSU Cycling was the regional conference leader, ranked number one above all division one and two teams! 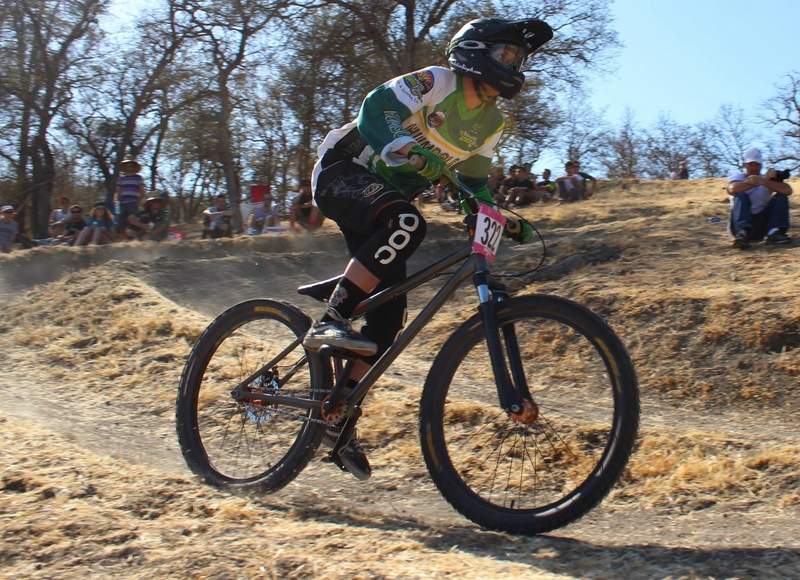 Come help us defend our 2013 title as we start another mountain bike race season! 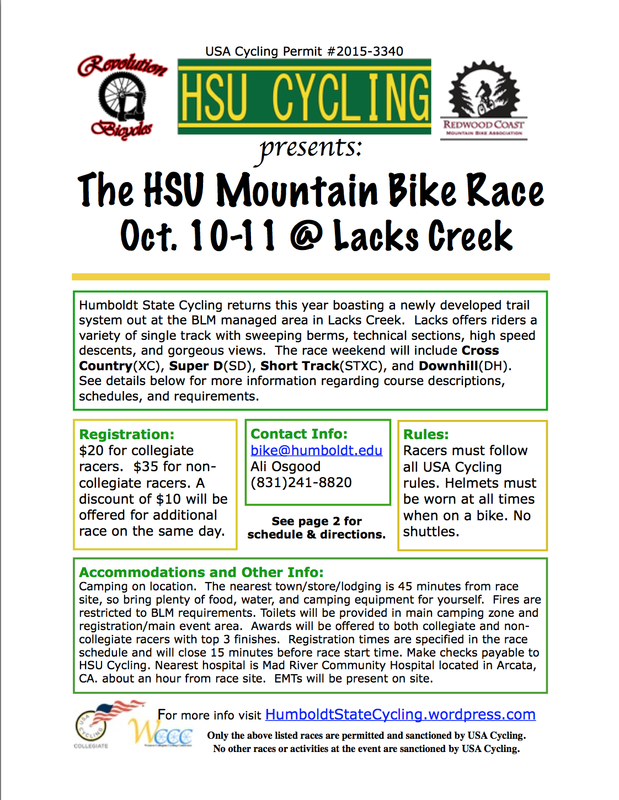 This fall, HSU Cycling will host a mountain bike race weekend on Oct. 11-12. It’s a great way to introduce yourself to racing and help organize a race. We’ll need volunteers, so consider helping out that weekend. Mark your calendars! See you soon. Ryan Wegman leads Zachary Thompson up the McEwen Hill during the Crockett Road Race on March 15. Photo from the HSU Cycling Chronicles Episode 10. Click on photo to watch the video.